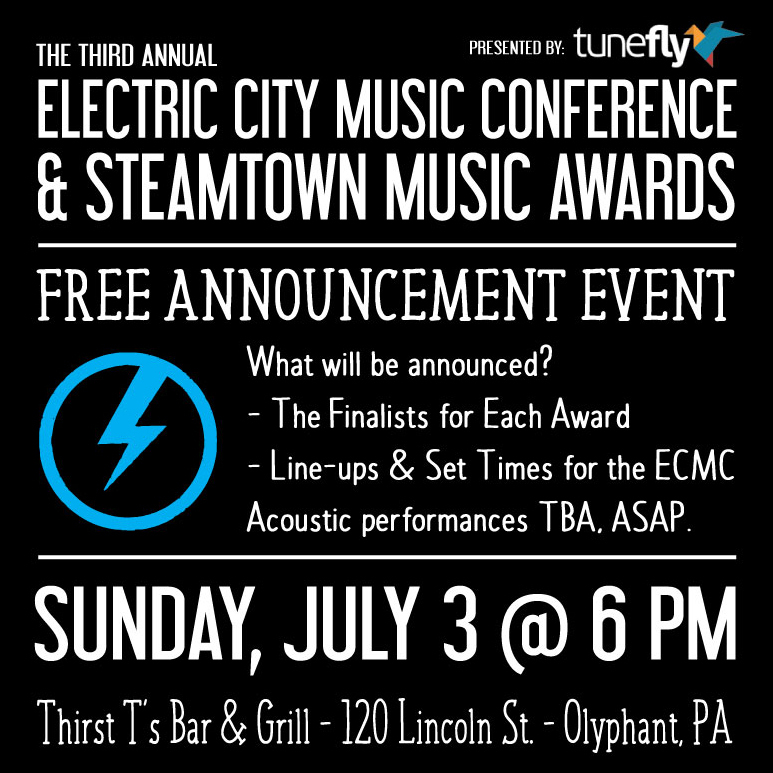 The Electric City Music Conference and the Steamtown Music Awards will host a free announcement event at Thirst T’s Bar & Grill in Olyphant on Sunday, July 3. “With everything Thirst T’s is doing for local music, it’s becoming a hangout and hub for the local scene. 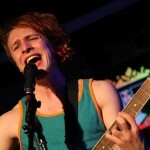 It seemed like the perfect fit to announce all our plans from his stage,” explains co-producer Joe Caviston. At the event, organizers will announce the finalists for each Steamtown Music Award category. “We held an announcement party last year, and the turnout was great,” noted co-producer Ken Norton. “Not only will we be releasing some fun information, this even provides another great opportunity for performers to network. 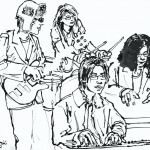 You’re going to have a room filled with some of the best musicians in NEPA. Come out and meet the movers and shakers in the scene,” added Caviston. 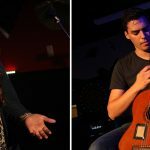 As with last year’s announcement, two local bands will perform acoustic sets during the event – Jung Bergo and Skip Monday.